Our members keep the doors open and the arts alive. Looking for a Gift Membership? Spread the love and share the art! 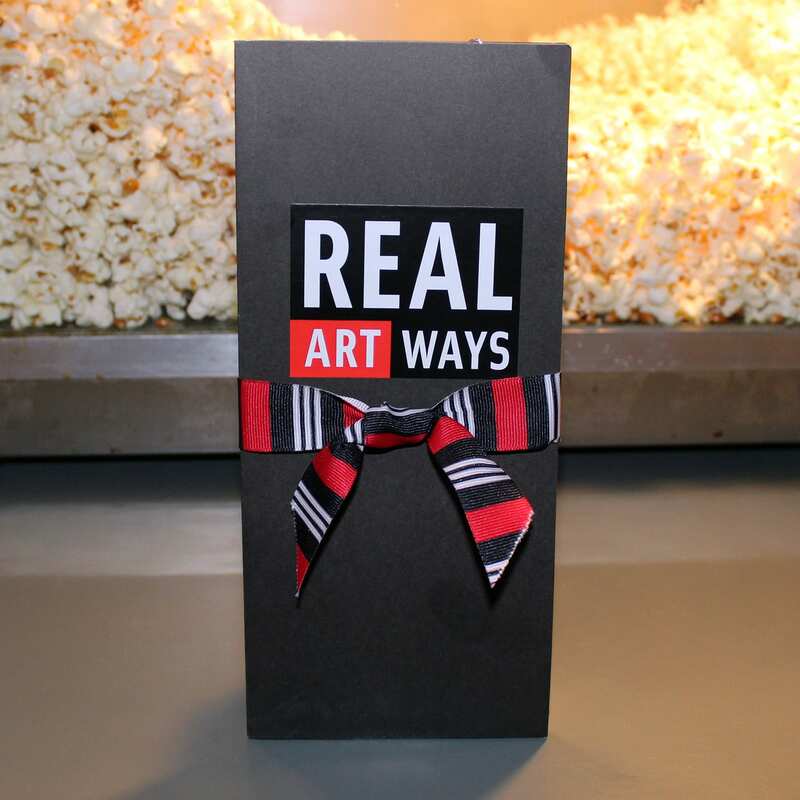 A Real Art Ways Membership is the perfect gift for any occasion. We even package it for you and include a certificate for a free popcorn! Memberships start at $65. Visit our secure membership page to join Real Art Ways now. We love our members! Seriously. When you chose to become a Real Art Ways member, you support our work and community in many ways. We are so grateful. Our five education programs. Students from Greater Hartford gain access to the arts and new ideas. Visual Art programming. Innovative contemporary art is made accessible for everyone. Live arts. Music, performance and spoken word are presented under one roof. Public Art. Real Art Ways has commissioned more than 35 public art projects in the Greater Hartford region. Periodic fun things we have yet to imagine! Become a member today by clicking here. Membership donations are tax deductible to the extent allowed by law.